Above: Lafayette 148 New York jersey stitch turtleneck in “rock,” $268, shop.nordstrom.com. Schai “Vita” snood in “granite,” $280, Baby & Company (Belltown, 1936 First Ave.; 206.448.4077; schaischai.com). Rings, left to right: Jules Smith solid hammered ring, $39, shopbop.com. Miansai screw cuff ring in sterling silver, $150, Moorea Seal (Belltown, 2523 Third Ave.; 206.728.2523; mooreaseal.com). Jules Smith “Saturn” ring set, $98, julessmithdesigns.com. Nars Audacious lipstick in “Ingrid,” $32, Barneys New York (downtown, Pacific Place, 600 Pine St.; 206.622.6300; barneys.com). Lafayette 148 New York cropped “Rivington” pant in “nickel melange,” $398, shop.nordstrom.com. Emerson Fry mules in “sterling,” $325, brand available at Juniper Boutique (3314 E Spring St.; 206.838.7496; juniperinmadrona.com). Saint Laurent Paris “Moujik” crocodile-embossed satchel bag in gray, $2,750, Neiman Marcus (Bellevue, The Shops at The Bravern, 11111 NE Eighth St.; 425.452.3300; neimanmarcus.com). Julep nail color in “Mona,” $14, julep.com. Isabel Marant Étoile gray sleeveless sweater, $320, Neiman Marcus. “At Ease” sleeveless turtleneck knit top, $145, Luly Yang (downtown, 1218 Fourth Ave.; 206.623.8200; lulyyang.com). Jules Smith “Americana” cuff bracelets, $65 each, julessmithdesigns.com. 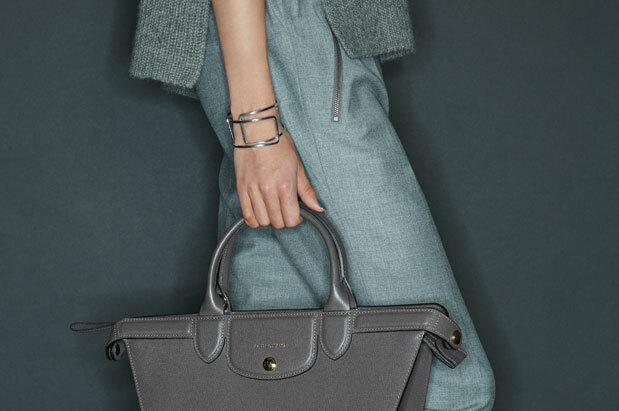 Longchamp “Le Pliage Héritage” handbag in “terra,” $1,065, Nordstrom (downtown, 500 Pine St.; 206.628.2111; shop.nordstrom.com). J.Crew Wool Turner pant, $110 (downtown, 600 Pine St.; 206.652.9788; jcrew.com). Schai “Column” cape coat in “salt + pepper,” $1,980, Baby & Company. Stella McCartney charcoal knit skirt, $1,220, Neiman Marcus. “Gladyss” boot in “grey embossed python,” $698, Diane von Furstenberg (Bellevue Square, 122 Bellevue Square; 425.405.7960; dvf.com). Kendra Scott “Miles” midi ring set in silver, $75, Nordstrom (Northgate Mall, 401 NE Northgate Way; 206.364.8800; shop.nordstrom.com). Julep nail color in “Daria,” $14 (downtown, 1427 Fifth Ave; 206.985.0088; julep.com). Emerson Fry “Column” dress in “sterling silk,” $348, brand available at Juniper Boutique. 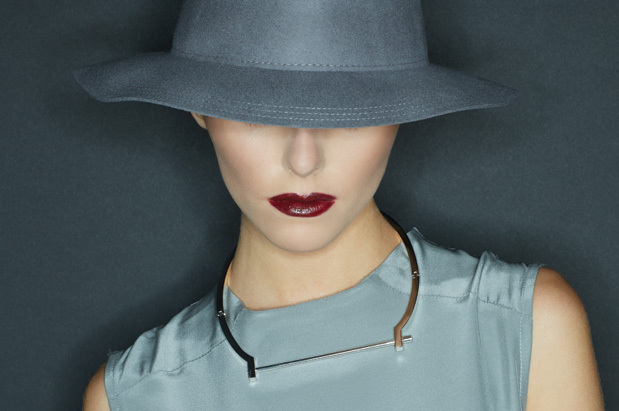 Karu “Morley” hat in gray, $38, and Miansai screw cuff necklace in silver, $415, both available at Moorea Seal. Bailey 44 “Ludlow” dress, $194, Changes Boutique (Bellevue, 11200 SE Sixth St.; 425.822.5500; bellevueclub.com/changes). Simon Sebbag Designs twisted edge bangle in sterling silver, $112 each, smooth thin bangle in sterling silver, $98 each, and hammered skinny wave bangle in sterling silver, $135 each, Nordstrom (downtown, 500 Pine St.; 206.628.2111; shop.nordstrom.com). Miansai modern flat cuff in silver, $205, Moorea Seal. Jules Smith “Americana” lock bracelet, $69, julessmithdesigns.com. Margaret O’Leary sleeveless t-neck in “charcoal”, $238 (University Village, 2609 NE Village Lane; 206.729.5934; margaretoleary.com). Baleen wide ear cuff in sterling silver, $26, Moorea Seal. Kendra Scott “Carter” ear climber, $75, Nordstrom (downtown).